What does CSR have to do with happy employees? Plenty. In our first article of the “Complete CSR Toolkit,” we saw how important the benefits of corporate social responsibility are to your team. The need for such team building exercises is apparent, and now, in part 2, we dive deeper into why focusing on the individual and creating happy employees is important – and why it should matter to any business who wants to succeed. 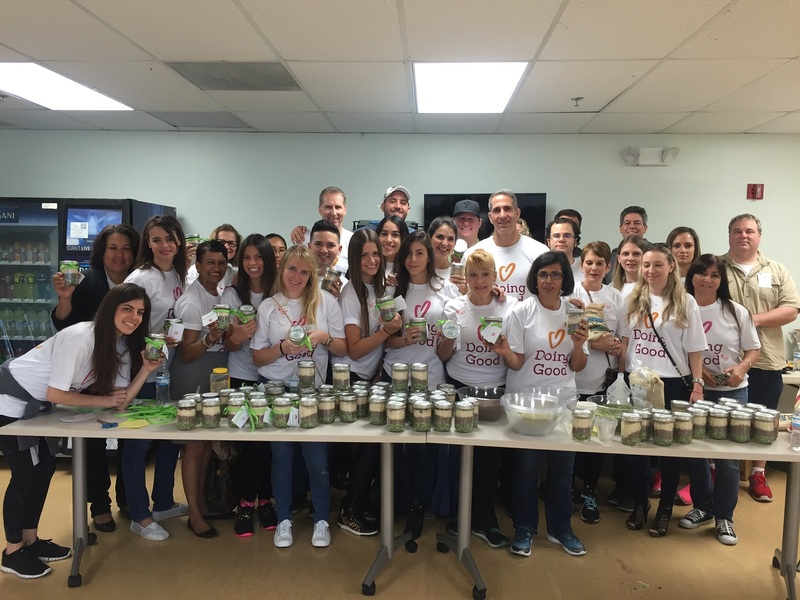 The team from Northern Trust Miami prepares jars of love for those in need. It’s no secret that corporate social responsibility, or CSR, has become a ‘good business’ buzzword. 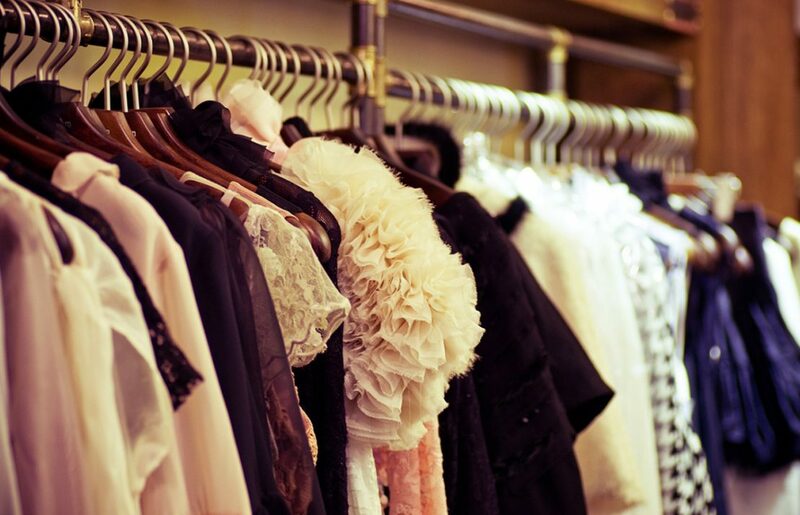 In a consumer driven society, humans are choosing to connect and stay loyal to the brands who operate ecologically, sustainably and responsibly. Numerous studies show that companies who maintain a level of CSR keep a more loyal fan base, save money, and the bottom line every business may look for is to see an increase in profits. In our ever growing socially conscious society, it makes sense that employees connect to the companies who operate under the same values. While many CSR studies focus on its benefits for the environment, another major responsibility is to create a positive office culture for your internal office environment. If there are two things crucial to the success of your business, one is skilled employees, and the second is how happy they are to work for you – because simply put, happy employees will make you happier too. McKinsey and Company cleanup during Good Deeds Day. A study on employee perceptions about CSR found that “the higher an employee rates their organization’s corporate citizenship, the more committed they are to the organization.” The same seems to translate with how committed the organization is to the employees. For businesses who understand the need to invest in their employees, it’s proven that your employees will be more committed to helping you. It sounds like a valuable beneficial relationship, and one worthy of ensuring there are resources and time to place on creating such happy employees. This may seem overwhelming; happiness means so many different things to different people. However, in terms of work, it’s simple to layout the definition of a happy employee. Since being at work is a large part of how humans spend their time, it makes sense that feeling part of a work community plays a role in their level of happiness. The trick is how to create a sense of community, while at the same time, empowering the individual to focus on their role and to develop their strengths within the company. This calls for another mention to incorporate a volunteer program. Finding a balance between these two is the most basic sense of happiness you can offer within your work environment. Volunteers from Peerapp in Russia show love to the shelter dogs. Any good business understands that employees are your most valuable asset. For those who don’t yet connect with the humane aspect, think of your employees as tools. The better the quality of tools you have in your shed, the better your end product is going to be. Your employees are the ones who operate your business on the day to day. They can enable your business to run smoothly or wreak havoc throughout the whole system. About 52.3 percent of employees are not satisfied at work, and one of the main reasons is that they don’t feel valued. Work is much more than a paycheck to most. It’s an opportunity to utilize their skills for a specific goal. By creating a sense of appreciation and acknowledging the people who are helping to build and sustain your business vision on the daily, you can create a greater sense of happiness, and appreciation in return. Providing benefits and resources for employee development is a great opportunity to develop your employee skill sets, focus on their strengths, and enhance their perspectives on the way they can be of most service to your business. When an employee feels as if communication is open, opportunities open wide within the company. More questions asked means more questions answered, and more knowledge sharing between departments and people. 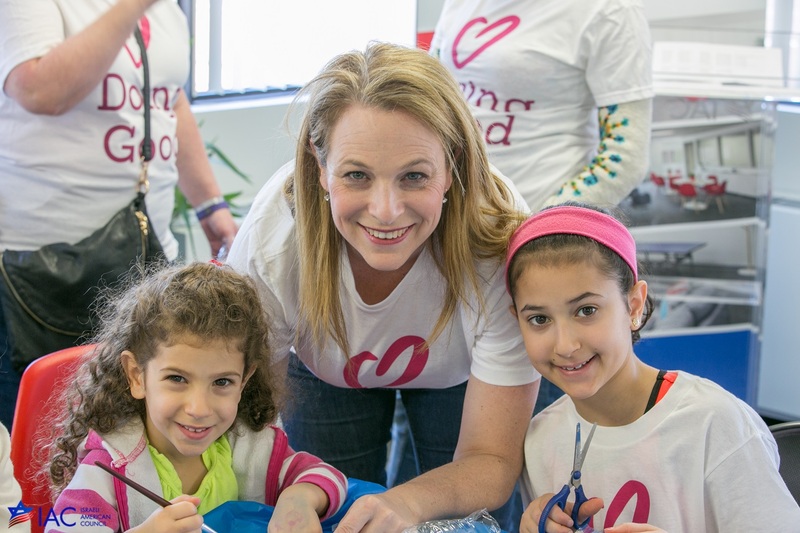 This is yet another example of how that volunteer program can create happier employees. For those companies who are focused on CSR, it’s important these standards are communicated properly to the employees. 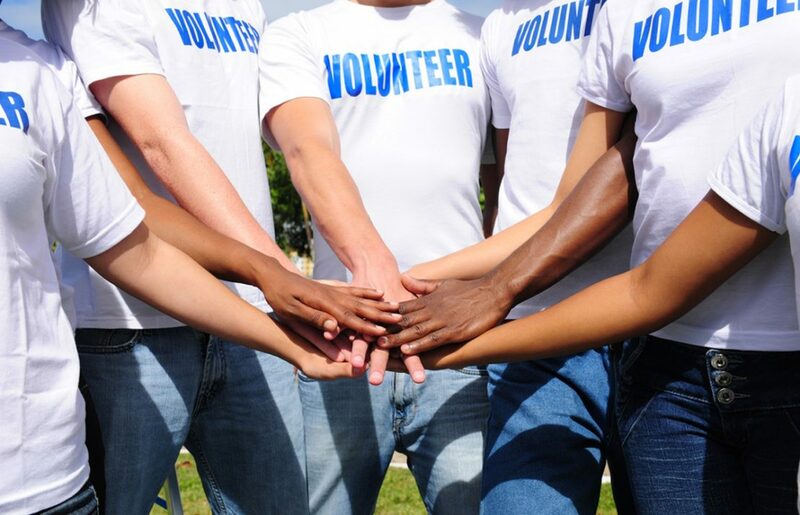 It may not be enough to host a volunteer program without sharing the other ways in which your company is focused on creating ethical and sustainable solutions to issues within your company. 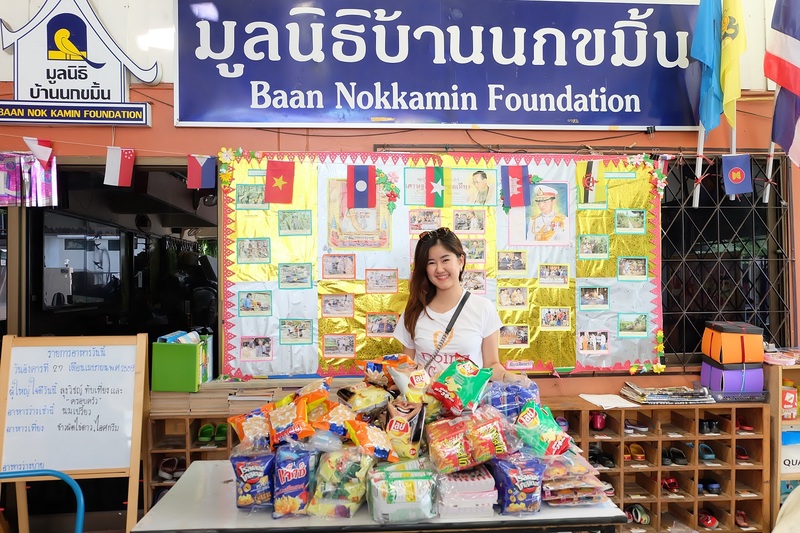 Gilat Thailand gives back to their local community by collecting food. The happiest humans, and employees, feel engaged in life and are aware of a greater sense of purpose. For a community more dedicated to social good than ever, especially the millennial generation, there is a strong desire to better the environment and her surrounding communities. In a recent survey conducted by Forbes, they found that while 92 percent of employees put financial security as a number one priority, 35 percent said they would take a pay cut to work for a company committed to CSR. More than that, 45 percent said they would take a pay cut for a job that makes social or environmental impact, and 58 percent said they would take a pay cut to work for an organization with values like their own. Boston IAC volunteers in their local community. Big business is beginning to understand how crucial an individual’s success is to creating their company success. By creating a balanced blend of personal and professional development for your employees, you are helping them fulfill the elusive dream of work life balance, which fills a need for your team. Offering these opportunities creates the ‘full package’ which allows your employees to feel fulfilled, stable, and loyal and happy to work for a company. When an office environment provides both sides of the coin, such as hosting a volunteer program or showing internal appreciation, there are large advantages in how happy and productive your employees will be, and the end result for your business will be better productivity, happy customers, and increased profits. If we look at the employee-employer relationship, it’s almost comparable to finding a life partner. Some days, it will be a love/hate relationship, but at the end of the day, you both just want to make each other happy. 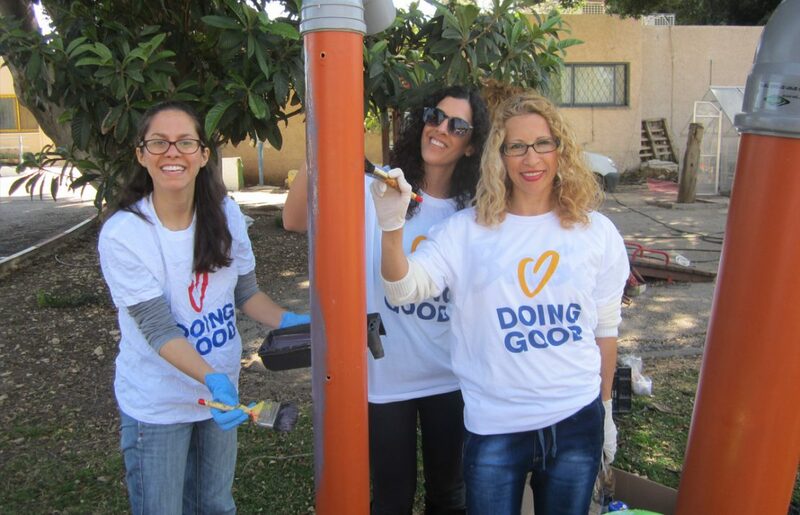 To learn more about organizational and corporate volunteering and stay updated with our “Complete CSR Toolkit” Series, follow us on LinkedIn. 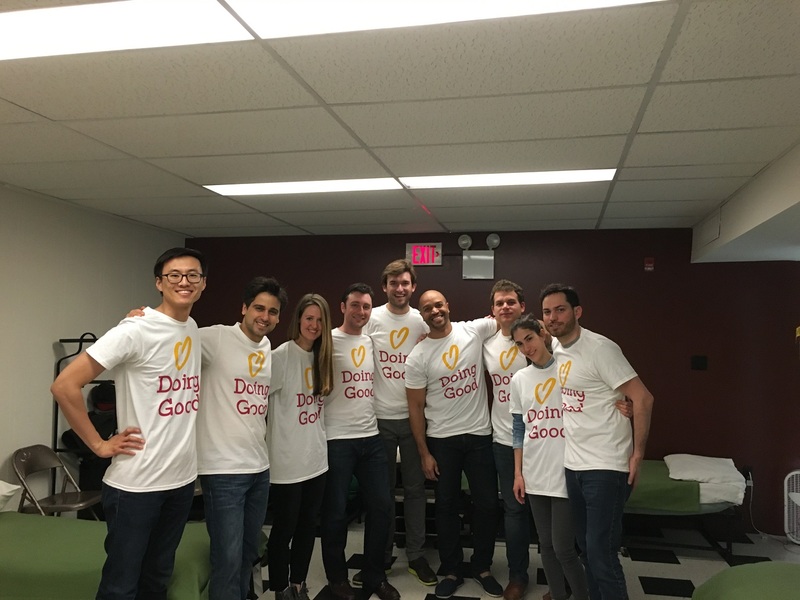 If you’re interested in leveraging Good Deeds Day 2017 to initiate your first employee volunteer program, read our How To’s or get in touch with us for guides and resources.